Almost three weeks after his death, the murder of journalist Jamal Khashoggi is now confirmed, but what remains a mystery is exactly how it happened and who was the mastermind behind the brutal plan. Despite a joint Turkish-Saudi investigation, the two countries' leadership and officials speaking with the press are spewing divergent details. There have been many reports, unconfirmed by CBS News, that allege certain details based on Turkish sources. Now, Saudi officials are coming forward with a limited number of details from what they refer to as parts of their own "investigation." 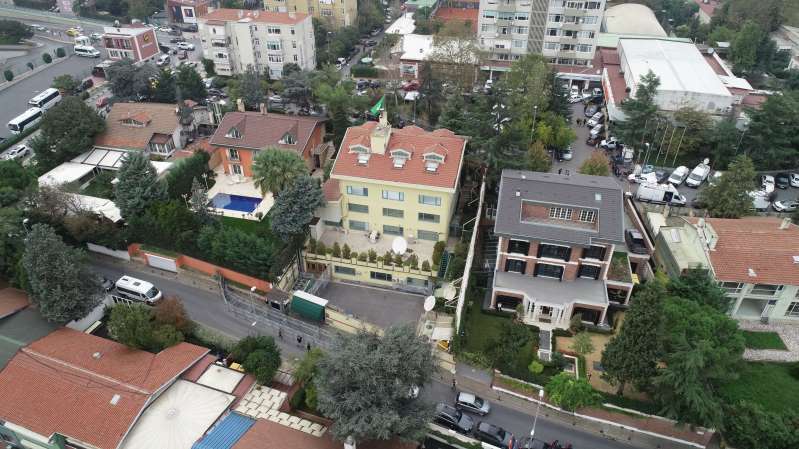 The Saudis insisted for weeks that Khashoggi, a U.S. resident, had left their Istanbul consulate unharmed. Last week, they changed their story and admitted that Khashoggi had been killed by Saudi agents in the consulate. The Turkish and Saudi versions of Khashoggi's slaying -- neither of which is on the record from the officials' governments -- do not match. For example, a Saudi official who has seen some of the details of the ongoing Saudi investigation told CBS News' that Khashoggi's body had been rolled into a carpet and given to a "local collaborator." That detail, the Saudi official claimed, came from suspects' accounts during the internal investigation process. The Saudi official says that Khashoggi was undressed, but his body was not cut into pieces. That detail contrasts with the reports, unconfirmed by CBS News, that have come out from Turkish officials, who have said the body was chopped into pieces. One of the Saudis who travelled to Istanbul put on Khashoggi's clothing after his killing, donned a fake beard and walked around the area outside to make it appear that Khashoggi had left the consulate unharmed. Saudi officials have continued to allege that General Ahmed el Asiri, a top intelligence official in Saudi Arabia, is to blame for Khashoggi's killing. He was fired by the Saudi Kingdom on Friday, along with Saud al-Qahtani, who was a top aide to Crown Prince Mohammad bin Salman. The Saudis say Asiri issued what's known as a general intelligence presidency (GIP) internal task order, based on a previous general directive to negotiate with dissidents abroad and bring them back to Saudi Arabia. The effort, the officials claim, is meant to reconcile with dissidents peacefully and possibly reintegrate them into Saudi society. There was a task order put out, in that vein, to reconcile with Khashoggi, who has been a critic of the Saudi leadership despite his relationship with many government officials in Saudi Arabia. But the Khashoggi task order was written in a "very sloppy way," one Saudi official told CBS News. The team, as a result, believed it should pressure Khashoggi to return to Saudi Arabia, especially because the order included a plan to bring Khashoogi to a safe house for 48 hours if he refused to go back to Saudi Arabia with them. That detail shows that the task order was "not written or carried out appropriately," the official claimed. Saudis have long had in place efforts to negotiate and reconcile with dissidents, the official said. To do this, Saudi agents typically "sit at a cafe and talk" with dissidents, the official said, although this obviously did not happen with Khashoggi. According to the Saudis, their team brought Saudi official Maher Mutreb to the consulate with them because he had a previous relationship with Khashoggi. Mutreb then explained the teams' intention to bring Khashoggi back to Saudi Arabia. The Saudi official claimed that Khashoggi became angry when he was asked to come back to Saudi Arabia. "What are you going to do? Are you going to kidnap me?" Khashoggi said to them, according to the Saudi official. Mutreb allegedly replied that they would in fact kidnap him and drug him if he did not agree to go. Khashoggi started yelling and was then put in a chokehold "to prevent him from yelling." This caused him to die quickly. The official could not answer why this happened so quickly, if the effort was to quiet Khashoggi and not to kill him. When the Saudi team left the consulate, one of the team members got dressed in Khashoggi's clothing and left the consulate, pretending to be him. CNN has broadcast footage of this exit. The Saudis claim that because of this, they believed that Khashggi had departed unharmed. The Saudi forensic official, part of the 15 person team, then covered up the evidence. When asked why there needed to be a forensic official at all, the Saudi official again cited an "administrative sloppy mess" that Asiri had put together. "There was no clear order to kill him or to kidnap him," explained the Saudi official. On Tuesday, Turkish President Recep Erdogan called Khahoggi's death a "savage murder" and challenged the notion that there had been no premeditated effort to carry out the hit. But Erdogan revealed no plan to make public evidence that the Turks have. He also said the Saudis have not answered many of the Turks' questions. "Why has the consulate general building not been opened right away but days after? We're seeking answers. When the murder was so clear, why have so many inconsistent statements been made? Why has the body of someone, the killing of whom has been officially admitted, not been found?" Erdogan asked. The Saudis claim they do not know where Khashoggi's body is now. They claim they are working to find those details and Turkish investigators are also searching. The Saudi officials who spoke with CBS News did not have a name for the "local collaborator" that their investigation defines as the person who took the body. Erdogan has called for the Turks to come forward with this person's identity, should the person really exist. When asked if Saudis are sure that Khashoggi's body did not come back to Saudi Arabia, the official said yes. However, the official claimed the plane was not searched when it came back to Saudi Arabia, because there was no expectation at that time that the task had gone so wrong – so the assertion is not backed up with evidence at this point. The Saudi royals have not said when they were told that Khashoggi was dead. "We have facts and would like to see more of that. If [the Turkish findings] corroborate our findings that is good. If it doesn't, we want to see it," said the Saudi official. When asked what the Saudis will be able to show evidence that corroborates their version of the story, the official could not say yet, as the investigation on their end is ongoing. "We are owning the situation. We didn't shy away from saying that a mistake was made," said the official.